North Somerset is getting a brand new coach commuter services offering thousands of car users a stress-free journey to work. It has been announced that The Kings Ferry, part of the National Express Group, is to run two commuter services to business areas in Bristol and South Gloucestershire, after being awarded the contract by North Somerset Council. The services are due to launch in the Autumn and will be funded by the Council for two years, with The Kings Ferry set to fund them for a further two. The service will pick passengers up from Weston-Super-Mare and Portishead, running along two commuter corridors at morning and evening rush hours. Currently 3,500 North Somerset commuters who travel in by car have few alternatives as there are no direct public transport services and limited rail options. The Kings Ferry with 30 years experience of carrying commuters from Kent into the City of London, is to supply four luxury vehicles kitted out with reclining seats, air conditioning, drinks machines, TV screens and wireless internet. All coaches are also equipped with real time tracking, allowing commuters to check the location of their service via web and mobile devices. Last year The Kings Ferry saw a record rise in passenger numbers using its Kent to London service - taking the total number of passenger journeys to well over half a million a year - as commuters are swayed by competitive prices, guaranteed seats, and real-time vehicle tracking. Travelling by coach is also the most environmentally friendly form of public transport - generating five times less Co2 per passenger than the average car journey. The Kings Ferry Commercial Director Danny Elford said: "We are delighted to be involved in this exciting partnership with North Somerset Council. Every year we've seen more and more commuters switching to the coach because it's comfortable, great value and you're guaranteed a seat. What's more we communicate constantly with our customers, providing instant service information and traffic updates to ensure their journey to work is as relaxing as possible. "We are certain this region has the fundamental elements needed for a successful service," he added. 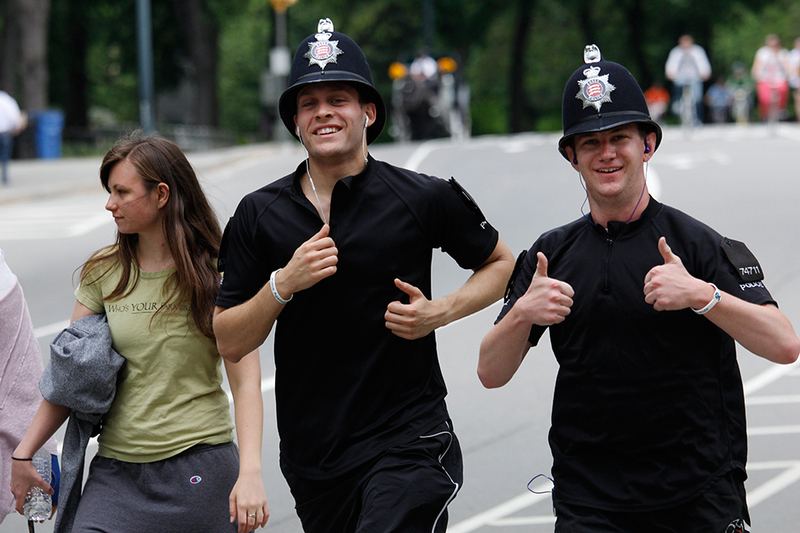 The run in Central Park, which took place on 18 May, was followed by a “plane-pull” contest between the British Metropolitan Police officers and the New York Police Department (NYPD) hosted by jetBlue at John F. Kennedy Airport on Monday, and a reception hosted by Consul General Danny Lopez at the British residence in New York. A kilted officer makes his way through Central Park. Two Essex Police officers run the half marathon. 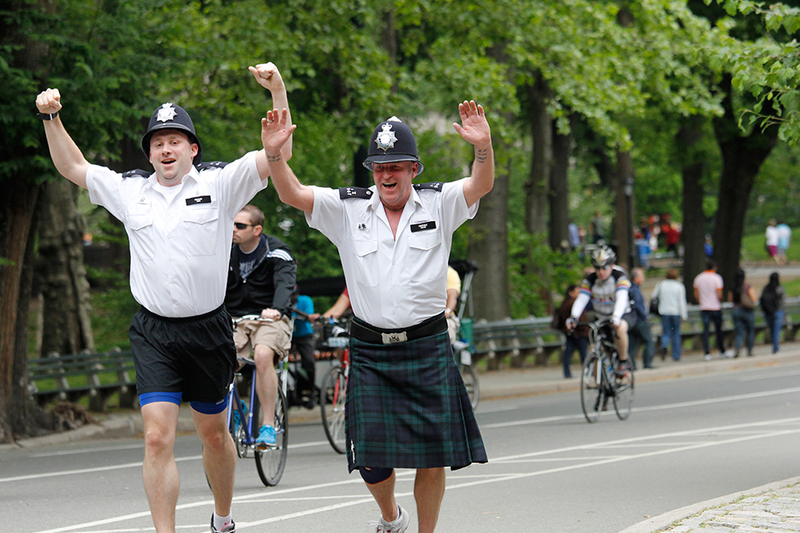 J-A-C-K (Joining Against Cancer in Kids) was founded in 2008 by Metropolitan Police officers led by PC Mark Edwards, MBE. The charity raises funds for the treatment of children with neuroblastoma, which affects around a hundred children in the UK every year. For the last seven years, police officers from the Met, the Essex and Surrey police services and the British Transport Police have been travelling to New York to fundraise as “Jack’s PACK” (Police Against Cancer in Kids). In recent years, their efforts have been dedicated to the memory of Jack Brown, son of DI Yvonne Brown and DS Richard Brown. 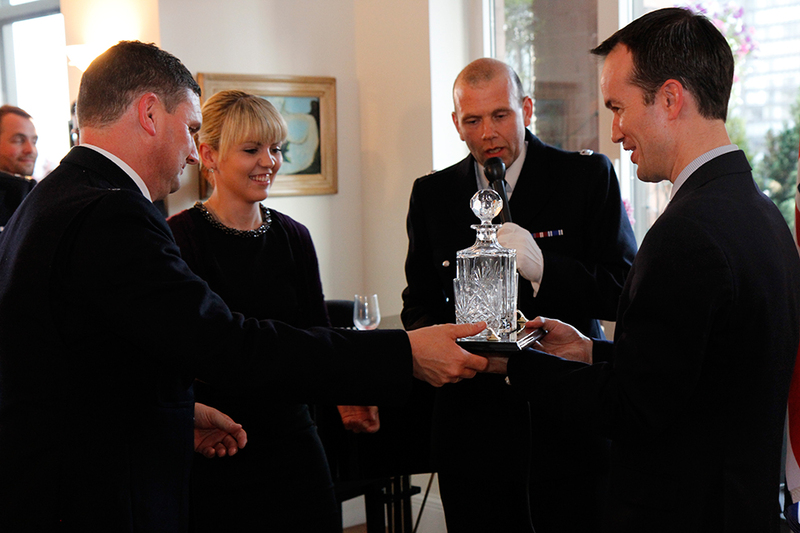 PC Mark Edwards, MBE, and Superintendent Gary Buttercase present Consul General Lopez with Metropolitan Police glassware. At the reception on 20 May, DS Richard Brown spoke about the new joint venture J-A-C-K is entering into with US-based charity Solving Kids’ Cancer, which will improve access to clinical trials for children with neuroblastoma. He also thanked colleagues from British police services, the NYPD, and police from Ottawa for their efforts this year. 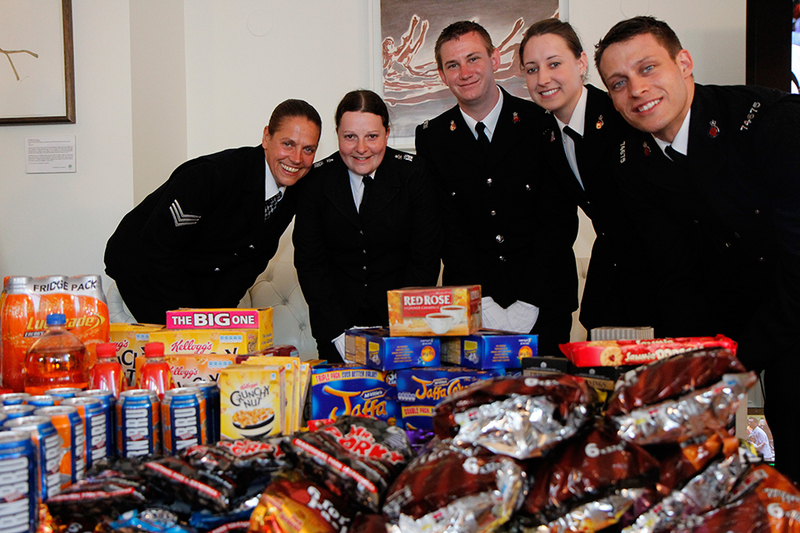 Metropolitan Police present the consulate with British treats to sell for charity on behalf of Jack's PACK. As well as the run, the visiting police officers have been sharing best practices with their transatlantic colleagues in “ride-alongs” with the NYPD in the 1st Precinct. Superintendent Gary Buttercase thanked the NYPD team as well as partners from across the city and on both sides of the Atlantic including British Airways, jetBlue and the Kimberly Hotel. Championship Play-off Final 27th May 2013. On the 27th May Watford FC get their chance to return to the cream of English football after a six–year absence when they take on Crystal Palace at Wembley in the Championship Play-off Final. The Hornets’ season looked to be over as semi-final opponents Leicester City were awarded a debatable penalty deep into stoppage-time in their second leg with the aggregate scores tied at 2-2. But Manuel Almunia saved Anthony Knockaert’s effort from 12 yards and just seconds later, Watford had booked their place in the ‘world’s richest game of football’ after grabbing the most dramatic of winners. Gianfranco Zola’s men mounted a swift counter-attack which ended with Troy Deeney firing past Kasper Schmeichel, sparking frenzied scenes of celebration at Vicarage Road. Watford had the edge in the two regular-season meetings with Palace, winning 3-2 at Selhurst Park in August and claiming a 2-2 draw on home soil, albeit after surrendering a two-goal lead. We are all expecting a nail biting encounter and as first team coach travel provider The Kings Ferry would like to take this opportunity to wish Watford all the best.